Taking advantage of the Geological Society of America (GSA) meeting in Vancouver this fall (October 18-22, 2014), MAGNET invited trainees from across Canada to attend the conference, where they had the opportunity to attend hundreds of sessions and events, as well as interact with over 6000 delegates. This conference has very high student attendance, with many programs and activities for early career researchers. Four trainees, five MAGNET faculty members, and the Program Coordinator had very successful oral and poster presentations. 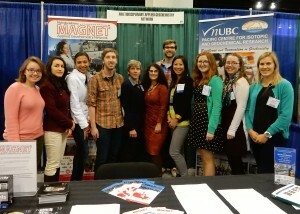 MAGNET also had a booth in the exhibit hall, which was busy throughout the week with prospective trainees and collaborators. 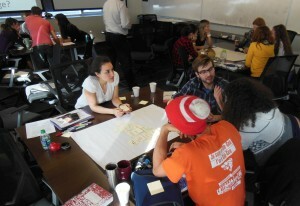 The conference was followed by a two-day training workshop at UBC (October 23-24, 2014). 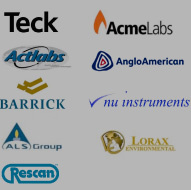 Participants received training on the Geochemist’s Workbench software, which is the standard for geochemical modeling in aqueous systems. Activities and demonstrations focused on chemical speciation, balancing reactions, creating activity and Eh-pH diagrams, managing data in a geochemical spreadsheet, geochemical modeling and reactive transport modelling. Trainees also benefitted from a training session on laser ablation ICP-MS, given by an engineer from Resonetics and two academic collaborators, which covered key principles, instrumentation, examples and applications. The session also included activities, real-time demonstrations as well as special sections on LA-ICP-MS of biomaterials and split-stream LA-ICP-MS.
Much of the workshop was dedicated to professional development. Trainees attended a seminar on “Scientific Writing and Publishing in Nature” given by an editor from Nature Geoscience. 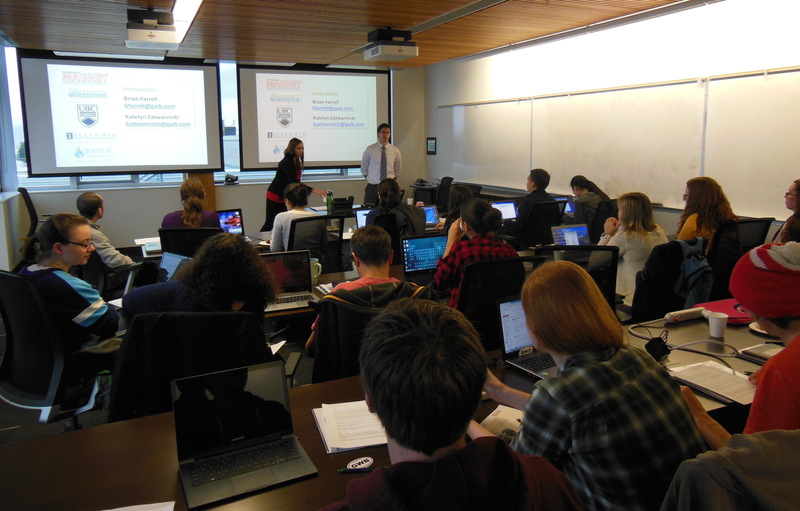 We also offered a seminar on “Research-based instructional strategies for fostering behavioural change: Environmental Focus” given by a UBC instructor specializing in geoscience education. Finally, we ended the workshop with a panel presentation and lively discussion on “Mining and the Environment,” which involved 3 panelists from government and industry who presented on topics related to Canadian environmental testing, regulations, policy and ethics with respect to natural resource management.